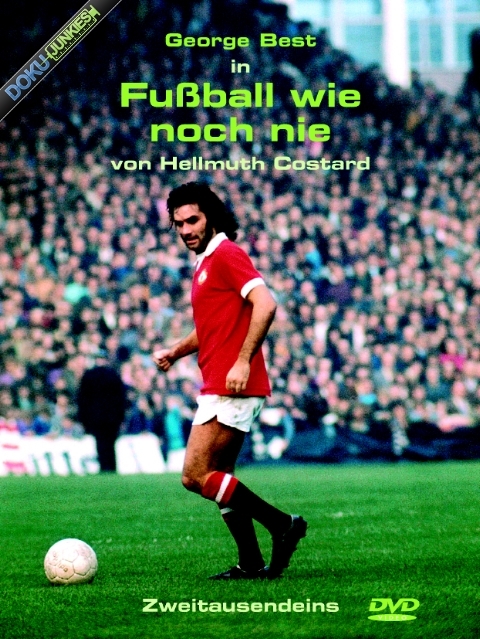 There is probably only one Film in this consequence: “Fussball wie noch nie” a Film by Hellmut Costard from the year 1970 shows off the British soccer legend George Best in a 100 minute-lasting sequel. Being the ultimate sports field film. Just like the rectangular shape of a cinema screen, it is the sports field that frames the area, which is there to be played on. Soccer games last 90 minutes, just like the usual runtime for movies. Considering today´s affordability for production fundings, this is an adequate relation between economic effort and dramaturgical use in terms of the expensive product film. Here the genres and there the sports, but this is where the analogy of cinema ends. Where film has the liberty for creative labor, sports of any kind are bound to strict rules and regulations that must be adhered to. Sporting fields are sometimes used in films, because they have a certain feel and setting to them. For a long time the setting of a tennis court was considered to display a certain economic potency, thinking about “Match Point“, 2005, which eventually increased by scenes of a golf court. Though on the other hand, soccer is meant to subject the proletariat „The 400 blows“, in 1959. Also there is the clothing, which turns an individual into a uniform mass. In “Der nackte Mann auf dem Sportplatz” 1974, a sculptor delivers to the local sports club a statue of a naked football player; without a uniform there is no identification. “Nordkurve” 1993 focuses on the social connection of people where „Bend it like Beckham” 2002 stages feminist engagements towards parental emancipation and social preconceptions. Without a doubt, Film is considered to be the Trojan Horse of sports: For example Baseballs in “Moneyball” 2010 and American Football “Any Given Sunday” 1999 are causing euphoric reactions in Europe by now. From 1966 until 1972 George Best was the utmost soccer star. With the help of eight experienced camera men, Costard used 16mm cameras to record the game Manchester United against Coventry City. Today he is regarded to be the key figure in terms of the way soccer is being broadcasted. But with an essential conceptual difference: Not the progress of the game or the ball possession were significant for the lenses of the cameras but only Georg Best. No matter what he did or even didn’t do. And so the Film was edited chronologically keeping its focus only on one single player. Football like never before, one would argue: Soccer (Football) like never again.